1. Get a glimpse of the vast expanse that is India's inherent art, craft, design and architectural past that might often be overlooked when Design History is understood from a global context. 2. Understand the socio-political and economic influences that have either accelerated or impeded the manufacture and use of products that have its roots in principles of traditional as well as western design, through the eyes of academicians and industrial professionals. 3. To put together India's history in making products, which have had an impact on the lives of her citizens and possibly a global reach as well. Indian Product Design in the global sense of the word is a fairly recent phenomenon, which is generally agreed to have come into being since the early 70's with the initial first set of designers trained from the National Institute of Design (then known as the National Design Institute) Ahmadabad and later with the Industrial Design Centre in the Indian Institute of Technology in Mumbai. Before launching into the narrative of postcolonial and post-industrial revolution and its impact on Indian Product design and manufacture, it is necessary to understand India's past in product design, briefly. India has strong moorings in a unified format of what is now separately called in the western world as: art, craft, architecture and design, manuscripts refer to it as Kala. The kind of products that have originated in India before the Industrial Revolution for 2000 years has largely been out of local innovations and products that have been born from iteration and evolution rather than short bursts of innovation or design revolution. 3. Nataraja sculpture. - Anon, (2016). [online] Upload.wikimedia.org. Available at: Click here. 4. Tipu's Tiger with organ keyboard. - Anon, (2016). [online] Upload.wikimedia.org. Available at: Click here. Masons, painters, illustrators, stone and clay workers, woodworkers and metal-smiths, often made the early products. The craft of making these were largely passed down from generation to generation via various guilds. The Industrial Revolution brought about the first paradigm shift in manufacturing processes by transitioning from hand made products by a few skilled experts to semi-automated to automated industries that began making a set of products for a larger number of people in a shorter span of time, for lower costs. The revolution occurred largely in Western Europe and North America, as a result they have been the beneficiaries of it and its aftermath, as compared to countries that have been farther, geographically. The result of mechanization led to the Arts and Crafts movement, the proponents of which felt that the ugliness in machine produced goods is a direct result of the removal of people who could work well with their hands, though its impact was short, it paved way for newer and alternative ideologies for products that could be produced by machines. The debates and effects of the revolution was felt in India who had by then been colonized by the East India Company, through teachings at various arts and crafts schools in Madras (Chennai), Bombay (Mumbai) and Calcutta (Kolkata) which began during the 1850's. These were the schools for industrial art or applied art, though they were empty of inherent Indian skill-sets and literature regarding it. Thus began the disintegration of the guild systems (albeit leaving behind the systems of cast) and the practice of unified concepts of Kala in India due Macaulay's educational system, which was based upon the British model. Many Indian postcolonial historians and designers believe that this is how we have nurtured our differences and distinctions between design, craft and art. Rabindranath Tagore at his Visva Bharati University in Shantiniketan experimented in trying to revive education in terms of literature, poetry, performing arts, crafts, apparel and even spaces where traditional design methodology could prosper. The concept of working by doing in was received more universally through Mahatma Gandhi's 'Nai Talim', which embraced self-sufficiency in all walks of life and led to small localized production systems based on man-power and small machines-the charkha, the Indian spinning wheel, being one of the most iconic examples of this country's resolve. Some of the major industries began during this time. 5. 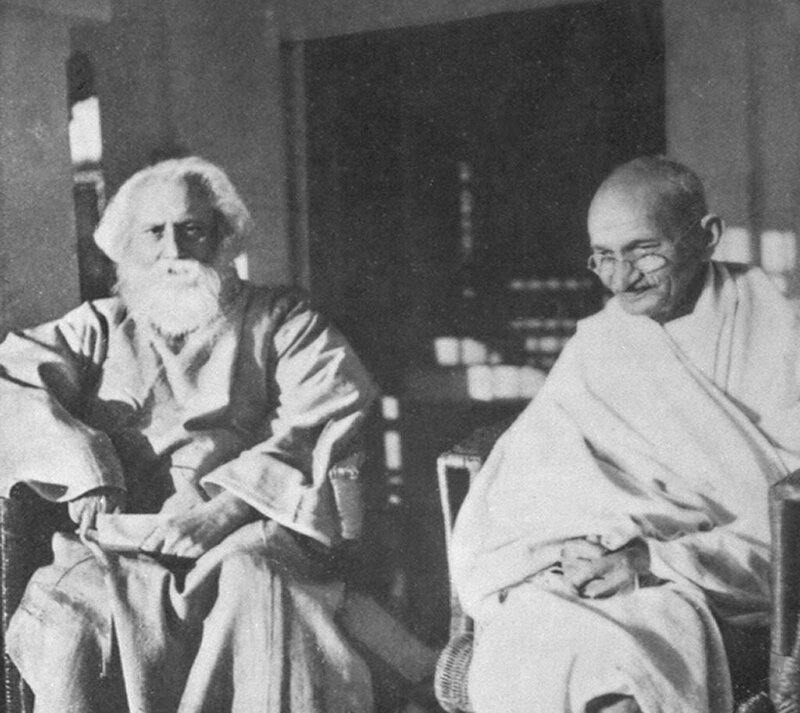 Tagore and Gandhi. - Anon, (2016). [online] 1.bp.blogspot.com. Available at: Click here. 6. Gandhi spinning Charkha. - Anon, (2016). [online] Upload.wikimedia.org. Available at: Click here. - Anon, (2016). [online] Frontline.in. Available at: Click here. With a move to improve India's economic standing a lot of emphasis was given for the promotion of Indian crafts-people via various agencies. However from a global understanding of the word "product design" some of the initial products, that made what the Indian market what it is today, came from a few private companies and industries that had begun prospering during the late 1800's. In the form of Tata Iron and Steel Company (TISCO) at Sakchi Bihar in 1907, some of the early bolstering of Indian industrial products had begun. After many hurdles in 1942 the Birla group formed Hindustan Motors Limited in Calcutta and WalchandHirachand formed Premier Automobiles with products such as pistons, electric bulbs etc. India's post-war industries and hence their products are a direct result of traditional merchant communities taking interest and investing into her expansion on a global scale. One of the major government policies that have had its impact on India's industrial design history is the division of industries in terms of public and private sector, through a series of Industry Policy Resolutions in 1948 and 1956. Coupled with the elaborate matrix of licenses and regulations that were required to set up and run businesses in India between 1947 and 1990, the infrastructure for a planned economy eventually led to the culling down of Indian made products. Product or industrial design education and the profession itself was an indirect outcome to create an industrial infrastructure for the development of resources on a national scale. During the 60's the profession became familiar, albeit to the ears of a few. 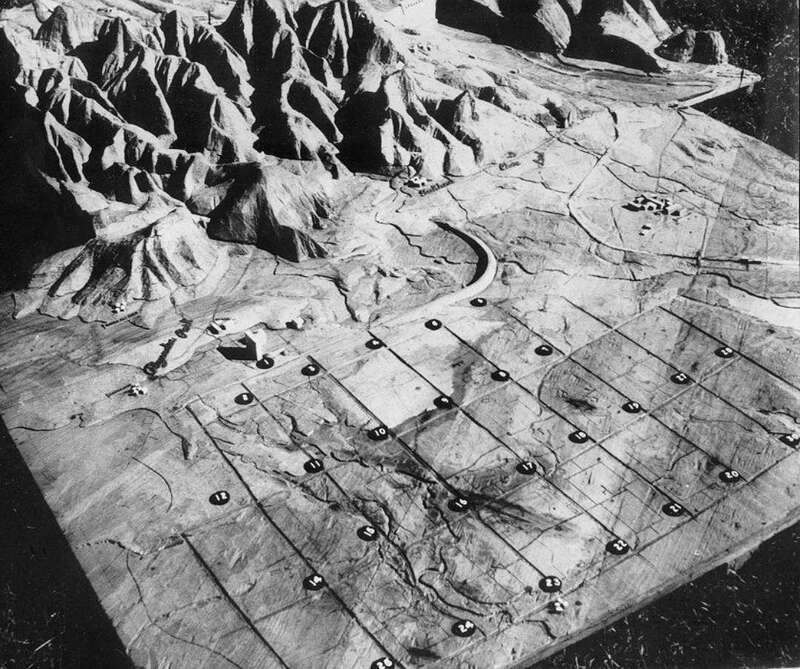 The design movement thus began through the then Prime minister inviting Le Corbusier to plan and design Chandigarh and Charles and Ray Eames to research about India's inherent potential and nature to initiate design. 8. A model of Chandigarh by Le Corbusier - Anon, (2016). [online] Acdn.architizer.com. Available at: Click here. 9. Charles and Ray Eames with scholar of Asian art and aesthetics PritwishNeogy, Delhi_Jan 6,1958 - Anon, (2016). [online] Eamesoffice.com. Available at: Click here. This is well captured in the "The India Report". In the seventies the corporate world as well as many NGOs began to receive its first set of design graduates.They faced many challenges,asthenascent economy had no place or understanding as to how to make use of designers and design methodologies. During this era in particular the term economic development was critically re-thought due to its latent relationship with social justice. Thus many Western models of design methodologies came to be questioned, as the eco-systems were incredibly different. This is the time period, which began the movement for Design to participate in "Real World " issues, using appropriate technologies and the birth of the "Barefoot Designer". As only Government sponsored industries were doing well before the 1990's. This coupled with the fact that private industries were still working within the domain of the "license raj”, made for an extremely inflexible framework for the profession of design, even though the opportunities were many. The new government with P.V NarasimhaRao and Manmohan Singh spearheading the liberalization brought forth ample socio-economic reforms and the initiation of many smaller Indian industries and ultimately an open market in a global sense. For the first time an effort was made to catch up with the technologically advanced countries, efforts gave rise to a boost in homegrown technologies, with international standards and competitors in mind. The moment corporate sectors began recognizing the capabilities of a designer; a shift began, where in design was intervening in hi-tech areas and not just the grassroots level. In an open market, a number of Indian companies went head-on with equally equipped competitors. Success stories are few and far between. Even more obscure are products that are essentially Indian by design and that which succeeded in the market and sufficiently so to have an impact in day-to-day life. With the advent of the PCs and the Internet, small design firms began emerging handling projects focusing on product concept, production and marketing. The networking that was done was both national and international. Recent advances through digitization allowed for really low manpower and yet high output, albeit India still has a lot to catch up in terms of a gap in prototyping technologies. With the beginning of integrated devices, definition of product design has evolved as tangible products are becoming more and more like information processors. Thus the emergence of smart devices have led to more ancillary branches like interaction and user experience design, which in essence still has origins in product design. Due to the prevalence of two different extremes, the global village versus the real village, the practice of design is also becoming slowly dual in nature. Where one impacts aggressively with a non-culture specific agenda and the other deals with issues, such as limited access to new technologies, lack of infrastructure and wherewithal for a smooth transition from- local to a glocal village.
" In the final analysis, the days when industrial design could be looked at in splendid isolation as a singular and internationally common phenomenon, are long past. The history of a people's culture and their socio-political aspirations, have acquired the same importance for the designer as the factors of economic development and technology transfer. Once this is accepted as the premise, a whole new world of design challenges must open up, particularly in the economically disadvantaged nations. The future of the industrial design profession, and the education of industrial designers-in India and in other countries in a similar situation-largely depends on how these challenges are met. As the trend indicates, industry and the government have begun to show unmistakable awareness of the designers' roles in all three levels of production."